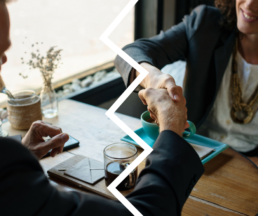 "Break-ups are never easy, but sometimes we need to sever ties with a toxic client or team member in order to keep our sanity." Break-ups are easy peasy … said no one EVER! We’ve all had them – that one person (client or team member) who made us question if we really wanted to continue to do what we do. The person who kept us from getting much needed Zzzz’s. The individual who gave us knots in our stomachs. The creature that caused us to lash out unnecessarily at our loved ones after work hours. 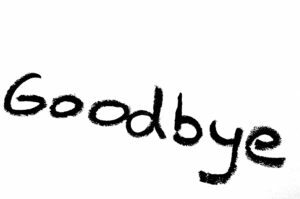 Parting ways with someone – a partner, a friend, a client, a co-worker, is hard. It’s especially traumatizing if you’ve invested a lot a time in building the relationships and trying to make it work. I am not an expert on break-ups - I’ve stumbled along with this throughout my life like everyone else. In fact, I remember postponing an evitable break-up with someone who I considered to be a close friend and colleague for years! I had it in my head that I possessed too many photos of her taken at major milestones in my life (graduation, wedding, vacations) to just cut her out. The best advice on this ridiculous excuse of mine came from my sister. She said “That’s what Photoshop is for”. Female Entrepreneurs – We’re too nice. I attended a fabulous workshop in December that presented evidence that female entrepreneurs are especially prone to avoiding ending relationships with troublesome clients and problematic team members. The major stumbling block is that we’re just too nice. Whenever I’m being wishy washy on something, I try to remember the wise words of my best friend, Pam, a social worker, who makes life changing decisions on behalf of her clients and their families every single day. She says you just gotta get ‘er done. 1.Approach it gradually. Slowly manage them out by reducing the workload, scope of work, or downsizing the project. 2.Break the project into phases with an ‘out’ clause at the end of each ‘phase’. Make sure to give proper notice that you’re not moving on with the relationship in the next phase. 3.Offer other options. Recommend another freelancer to your client (and help transition the work to the new hire). In the case of a team member, find them a new contract gig that suits them better and help them shift into a new role elsewhere. When the dirty deed is done, you need to take the next steps to formalize things by putting it in writing (via email or a letter) and then creating a plan and timeline to wrap things up. It’s very important for the future of your business to avoid burning bridges. Being professional, conciliatory and avoiding complex, drama-filled discussions on what went wrong, will not only save your sanity, but also preserve your reputation in your industry. Finally, when I do sometimes find myself in these unpleasant situations, I always consult a friend on the situation before taking any action. I am fortunate to have several friends/colleagues who are self-employed entrepreneurs and consultants. We bounce things around, play out different scenarios, and talk each other off the ledge when needed. There is no better support system. If you have any tips to share with me on how you’d approach breaking-up with a client or parting ways with a team member, please pass them along. Let’s support each other in our entrepreneurship and leadership journey! Like what you’ve read on the iSPARK blog? There’s more where that came from. Join our mailing list for more tips and tricks (and a few giggles now and then) sent directly to your inbox.